The Abounding Business Community was created by Anthony Kirlew, a lifelong entrepreneur with the mission of empowering small business owners and entrepreneurs to help them achieve their goals. Statistically, starting a business isn’t a good bet. Anthony saw this as a problem and even worse he saw the impact it had on entrepreneurs with many ending up broke, divorced, depressed, frustrated, or even worse, dead. He has made it his mission to share the insights he has learned over the past several decades as he built several companies. Anthony started his entrepreneurial journey as a kid. From an early age he had a knack for sales and sold everything from homemade candles to holiday greeting cards. As he grew up and acquired additional skills, he ventured out into the typical businesses that young people take on including delivering newspapers and shoveling snow. His first official job was at the age of 13 working at the high school he attended. After high school Anthony attended community college and acquired skills as an automotive technician and became an ASE Certified Master Auto Technician by the age of 19. Being the entrepreneur, he developed a following and had lots of private auto customers that he serviced outside of his day job. He first entered in network marketing arena at the young age of 19 and was not prepared – nor was he trained – to embrace that opportunity. By the age of 22, he had decided to take the next big step and venture into real estate, so he got his license and went into business as a real estate agent. That proved to be the early stages if honing his marketing skills. Based on his passion and background in real estate (as well as a non compete agreement), Anthony entered the mortgage business in 2003 after leaving NSI Partners. Using his marketing expertise, he quickly rose to the ranks of top producing mortgage lender and ultimately decided to get a mortgage lenders license and open his own mortgage company (Consumers Advantage Mortgage). Based on his success generating leads online, he created a mortgage lead generation company which he used to both fuel his personal business and create an income stream by selling leads. In 2007, he returned full time to the digital marketing industry as the real estate marketing was in decline. 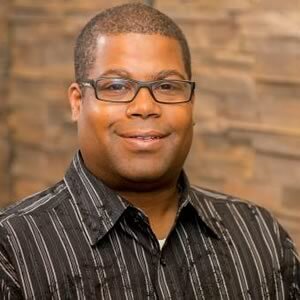 Along his journey, Anthony has held technical, sales, and leadership positions with some of the largest online companies including iUniverse, Web.com, The Knot, Barton Publishing, and GoDaddy. Currently, he is the CEO & Chief Marketing Officer of Infinion Marketing, a full service digital marketing agency and the CEO & Executive Director of The Finamark Group, a financial services company serving and protecting families and business owners. Anthony is available for speaking engagements nationally, and speaks on topics related to small business, digital marketing, and social media.